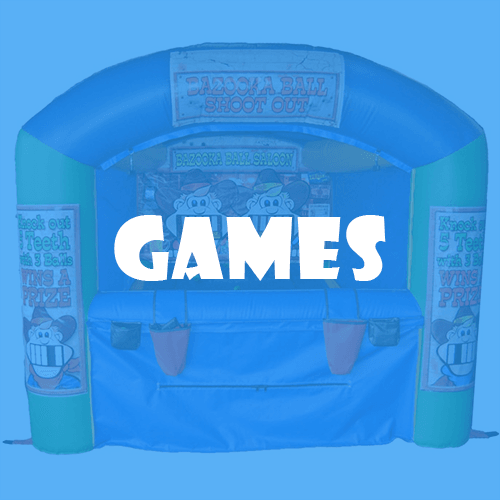 We Rent Moon Bounces, Inflatables, Mechanical Rides, Pony Rides, and More! If you are in need of tent and restroom trailer rentals for special events, visit our sister companies' Tents 4 Rent or Maryland Restroom Rentals. Check out our summer sizzling specials! aGoodtime Amusements travels all over the state of Maryland delivering fun & memories. Our trucks have also been spotted in Northern Virginia and Washington DC! All of our moonbounces, inflatables, and ponies are clean and well taken care of. Our well trained, professional staff will make your event a fun and safe memory for children and grown ups alike! Check out one of the categories below or use the search function to look for a specific item. If you need some help, contact our party specialist to help you out! Don't miss out on this special opportunity. Plan your party on our farm where you can have pony rides, petting zoo, moon bounces, water slides, mechanical rides and more! Don't worry about having enough space in your yard or having enough space for your event. Come to us and let us provide the space! Copyright Â© 2018 aGoodtime Amusements. All rights reserved.